Dr. Jeanette Sabir-Holloway is a 1980 graduate of Indiana University School of Dentistry where she received her DDS degree. She completed her undergraduate studies in Biology and Chemistry at Spelman College in Atlanta, Georgia in 1976. Dr. Holloway has been in private practice in Indianapolis, Indiana for over 30 years. She has trained extensively in orthodontics and oral implantology, and has been very active in organized dentistry in this state and nationally. She is a member of the ADA and National Dental Association (NDA), and the district components for these dental societies. In addition, she is a former trustee for the NDA and past President of the state and local chapters on the NDA. 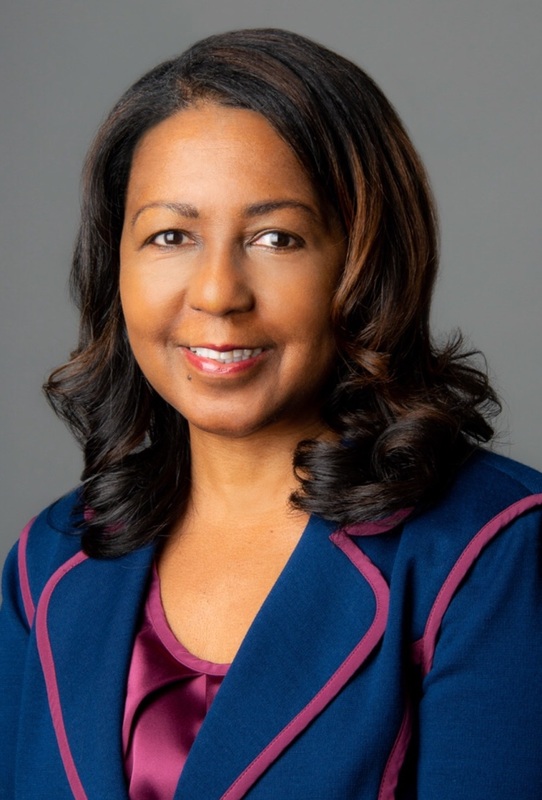 Dr. Holloway has served on several Boards in the Indianapolis community, including The Children’s Museum, YWCA, JT’s Hand, St. Richard’s School and The Children’s Theatre Institute. She is currently serving on an International Board that has adopted an Orphanage in South Africa. Dr. Holloway has also initiated a dental pipeline with the primary goal of Increasing Diversity in Dentistry (IDID). It focuses on increasing the number of those who are underrepresented in dental schools. She travels to participating schools no fewer than once monthly to mentor, nurture, and create programming for IDID scholars. As part of the program, her scholars have committed to practice dentistry in an underserved area for a two-year period upon completion of dental school. In 2004, Dr. Holloway opened The Ferger Centre, a business complex in downtown Indianapolis located in the Historic district of Indiana Avenue. Inside, her businesses include Sonrisa, a periodental spa, and Luxus Suites and Spa. Sonrisa, the first dental spa in the Indianapolis area, is a unique concept which combines a state of the art dental facility with the pampering and relaxing experience of a day spa. Luxus Suites and Spa, nestled atop Ferger Centre, with a stunning view of Indy’s skyline from the rooftop terrace, provides Indianapolis with a guest facility rivaling five star Hotel suites all over America. She owns these businesses with her husband Dr. Stephen Towns. Dr. Stephen Towns is a graduate of the University of Illinois School of Dentistry, where he also received his certificate in Periodontics. He was an assistant clinical professor of periodontics at both the University of Illinois and Meharry Medical College. Dr. Towns has been a very active participant in organized dentistry, on the local, state and national levels. He is past president of the National Dental Association and has been a member of the Illinois State Board of Dentistry, Central Regional Dental Testing Service and Northeast Regional Board. He currently serves on the global diversity committee of the American Academy of Periodontics. He has participated in numerous continuing education programs including the closed circuit television program and featured speaker for the Chicago Dental Society, the Yankee Dental meeting, the Greater New York Dental meeting and the National Dental Association annual meeting as well as for local and district study clubs. In 2005, Dr Towns started Sonar Study Club, an affiliate of Seattle Study Club, known for cultivating excellence in comprehensive dentistry. He serves on the board of the Indianapolis Zoo and the Indianapolis District Dental Society and is a past president of the Historic Meridian Park Neighborhood Association. He is also currently an assistant clinical professor at Indiana University School of Dentistry and in 2010, he received the Outstanding Teaching & Mentoring in Periodontics Award from the American Academy of Periodontology. For several years running, Dr. Towns has been selected as one of Indianapolis Magazine‘s Top Dentists in the area. Dr Towns is a food enthusiast with culinary skills from the CIA in New York and the Greenbrier Barbeque University! Dr. Kathleen Judith Beache was born in Trinidad and Tobago in the West Indies. Her undergraduate studies were completed at Howard University in Washington, DC in 1988. She then attended the University of Maryland School of Dentistry for one semester and received her D.D.S. from Indiana University School of Dentistry in 1994. She began practicing with the Sonrisa family in 1994, then opened her own dental practice in Carmel, Indiana in 1996. After 10 years of owning her own private practice, Dr. Beache became the Chief Dental Officer at the Correctional Industrial Facility in Pendleton, IN. Dr. Beache has reunited with the Sonrisa family and is very pleased to see many of the same team members who were here when she first started. She enjoys all aspects of dentistry and has a special gift for treating the anxious patient. She is trained extensively in orthodontics, restorative and cosmetic dentistry. Dr. Beache is a member of Sonar Study Club, which is a subsidiary of the Seattle Study Club. Dr. Beache and her husband, Kenneth Beache, who is an architect and environmental engineer, have a beautiful daughter, Amanda. When not at work, Dr. Beache can be found walking her dogs, Prince and Sheba, or preparing some special Caribbean meal or concoction for her family and friends. She enjoys cooking, reading, walking, traveling, and spending time with her 9 siblings who reside in different parts of the US. 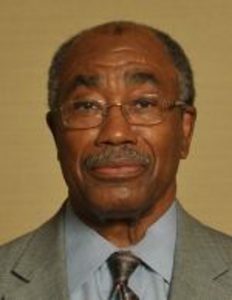 Dr. Stokes attended North Carolina A&T State University where he graduated with a Bachelors degree in Biology in 1964. He then received his D.D.S. from Indiana University School of Dentistry in 1972. He has also completed Extended Orthodontic Courses through The American Orthodontic Society. Dr. Stokes was a 2nd and 1st Lieutenant in the U.S. Army Chemical Core from 1965-1967. He has been working at Indiana University School of Dentistry as an Assistant Professor and Faculty Practitioner since 1977. He has been in private practice for over 45 years. He joined the Sonrisa family in 2018 and looks forward to continuing to provide his patients with the best care possible. Dr. Stokes stays current on the latest dental treatments by staying active in multiple professional memberships. He has been a member and President of the Hamilton Discussion Group. Dr. Stokes is currently a member of the National Dental Association where he served as the local President and Vise-President for several years. He is also a member of the ADA, IDA and Indianapolis District Dental Society. When Dr. Stokes is not at work, he enjoys spending time with his wife. 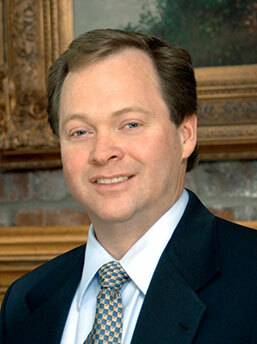 Dr. Roberts attended Indiana University School of Dentistry and completed his Doctorate of Dental Surgery in 2000. He then received his Masters of Science in Dentistry and his certificate of orthodontics at the University of the Pacific in 2002. He has had his own private orthodontic practice since completion of his education. He joined the Sonrisa family in 2017. After many years in his profession, he genuinely enjoys what he does as a orthodontist. It has always been his focus to make each patient feel at home when they come for treatment, and he works hard to give his patients the attention they deserve. By actively participating in continuing education, he stays current on the latest technology and dental treatments. Dr. Roberts is an active member of the IDA, ADA, Indianapolis District Dental Society, American Association of Orthodontists, International Association of Orthodontics and the Great Lakes Association of Orthodontists. Dr. Roberts feels his patients deserve the best, and continuing education allows him to provide his patients with more options and better results. In his free time, he enjoys to go fly fishing, hiking, bicycling and snow skiing. His hobbies also include yard work, gardening, woodwork and construction. Brigitte is a graduate of Purdue University with a Bachelor of Science degree in General Management. She has been part of the Sonrisa family for over 25 years and has worked in all administrative functions of the office. Her main focus of the practice is providing a confident, pleasant and positive experience for our dental guests. In addition, she works at maintaining strong business relationships with vendors and the community. For Enjoyment, in her spare time, Brigitte is usually in front of the TV, reading a good book, shopping, or gardening. Traveling to see her two grown daughters, and working out are her newest hobbies. 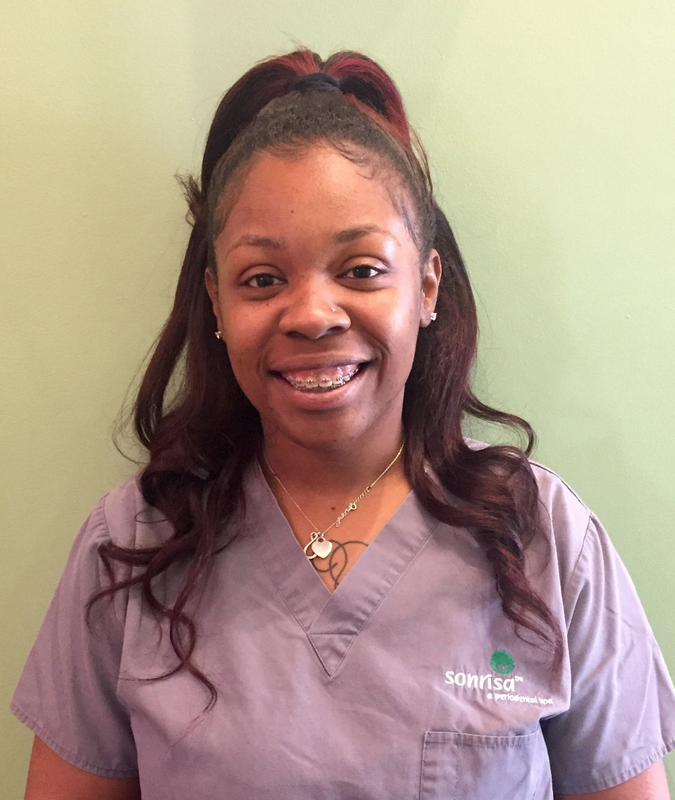 Monique attended Brightwood College and completed the dental assisting program in March of 2018. She graduated with honors and continually stayed on the Dean’s and President’s list while in school. Her extensive experience working in customer service made for a perfect fit when she joined the Sonrisa family in early 2019. 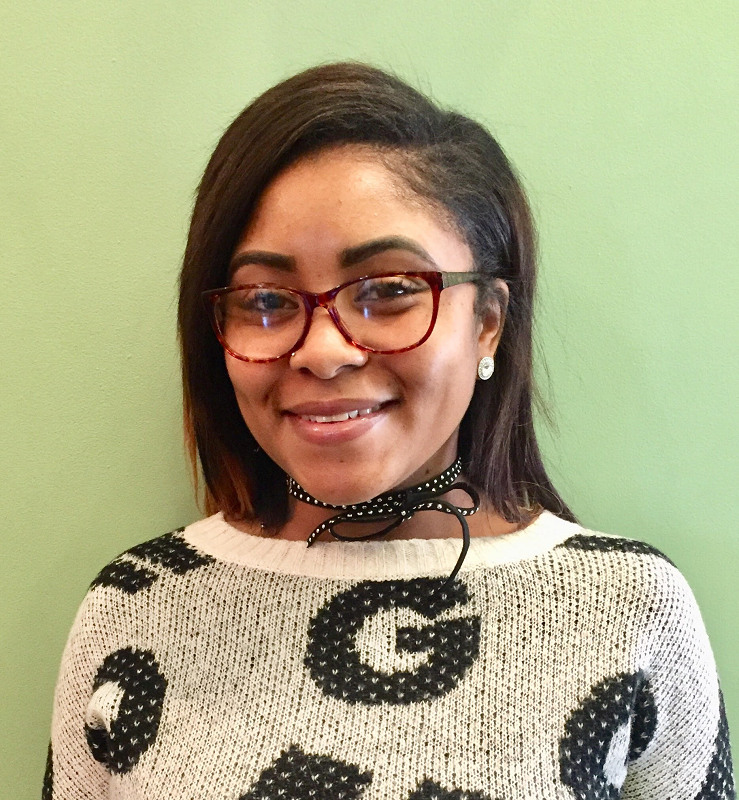 Monique enjoys working in and being part of the dental field, as well as helping people feel confident about their smile. Monique is married and a mother of three. Spending time with family, reading, doing crafts with her children and cooking tasty recipes from Pinterest are her pleasures in her free time. Lindsey attended Indiana University School of Dentistry where she received her Associates Degree in Dental Hygiene in May of 2011 and her Bachelor’s Degree in Public Health Dental Hygiene in 2012. She then earned her Master’s Degree in Education in 2018 through WGU Indiana. Lindsey also works part-time at the IU School of Dentistry as a Clinic Instructor. She grew up in Anderson, Indiana with her parents, older brother, and twin sister. Lindsey has been with Sonrisa since graduation in 2011, and she loves getting to know her guests and helping them achieve the smile they’ve always wanted! One of her favorite things about her job is working with Sonrisa’s Preschool Program, Little Kids, Big Smiles. In her free time, she enjoys spending time with her family and friends; traveling, snowboarding, and playing euchre and monopoly! On football game days, you’ll always find Lindsey watching the Colts! Mary has been in the dental field for over 30 years. She got her start in dentistry at Indiana University School of Dentistry and worked there for 15 years. Mary has been a part of the Sonrisa family since 2006. She is very experienced and well rounded in all aspects of dentistry. Mary has built up great rapport with our guests throughout the years. She strives to understand the needs of our guests to help them have a comfortable dental experience. One of the things she enjoys most about her job is building relationships with every guest. In her free time, she enjoys cooking, watching movies and gardening. She has a very soft spot for all animals, especially her dog, Moose, cats, Ella and Buddakatz, and bird, Jimmy. Mary and her husband, Eric, and two kids, Denny and Maria, enjoy family time by exploring local craft beer breweries and apple orchards. Steven has been a team member of Sonrisa since 2008. He is a student at IUPUI majoring in pre-dentistry. Within the next year, he plans on applying to dental school. He completed one year of dental assistant training at J. Everett Light Career Center. He is an invaluable asset to all our doctors at Sonrisa. Steven is well versed in assisting in all disciplines of the practice – general dentistry, periodontics and orthodontics. His biggest attributes are providing calmness, and positive dental experiences for our guests. When not working or studying, you may find him relaxing to his favorite music or enjoying family time with his wife and son, Carter. Aqeelah graduated from Harrison College with a diploma in dental assisting in 2018. She completed her externship during her education with Sonrisa and remained a member of our team after graduation. Aqeelah has excelled since being with us and she looks forward to a long career in dentistry. She is passionate about serving the community and adores her three children. When not at work, Aqeelah enjoys listening to music and reading books. Often caught behind the scenes, Geoffrey partakes in the larger operations of the office management. He attended Hampton University and Tennessee State University and received his degree in Political Science in 2012. While away from work, Geoffrey enjoys reading, watching sports, playing basketball, working out, and nurturing abandoned animals. He is an avid Spartan Race participant throughout the spring and summer months. Geoffrey also enjoys various graphic novels and Marvel movies and series. Sibeko has been with Sonrisa for many years. He is now solely the coordinator for the Sonar Study Club meetings. Graduating from Florida A & M University where he majored in business administration with goals of a master degree in hospitality management led him to this industry. Catch him at a Colts game when he’s not at Sonrisa!